Set to open later this year is a separate 1,000-seat auditorium whose lobby-entrance is a marvel of glass architecture -- a 165-foot diameter cylinder featuring a 20-foot tall glass skin. 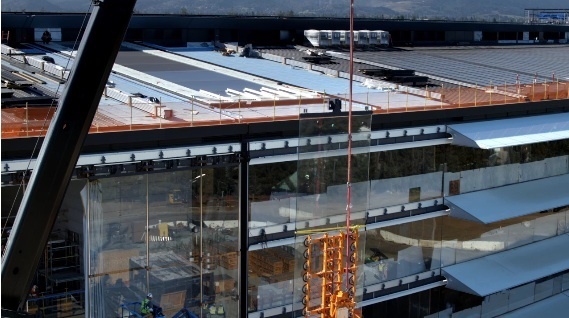 Named for Apple's iconic founder, the Steve Jobs Theater will set atop a prominent hillside within the 175-foot Apple Park complex. 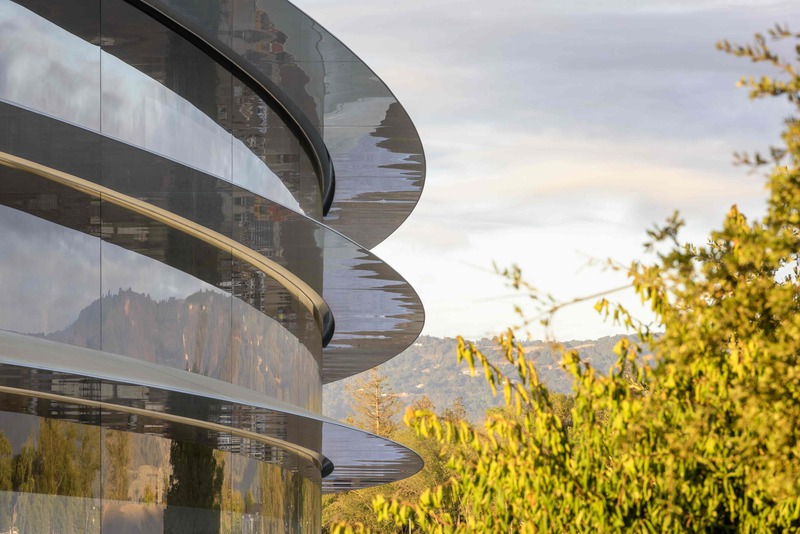 The famously secretive company has set aside an Apple Store and cafe that will be open to the public, though the two miles of walking and running paths are reserved for employees, as is the orchard and pond enclosed by the doughnut shaped building.